At Bayleaf we always strive to make your pet’s surgery as safe and pain free as possible. A relatively new development in veterinary medicine is the use of sutures impregnated with an antibacterial chemical that releases into the surrounding tissues as the surgical wounds heal. 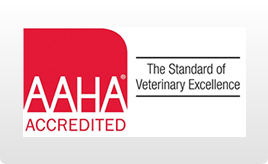 We have adopted this suture material as the “standard of care” at Bayleaf Veterinary Hospital. 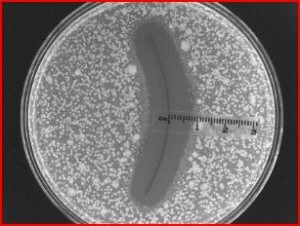 Whether closing a contaminated laceration or a sterile surgical incision, these antibacterial sutures can make the difference between a successful outcome, or a serious postoperative infection. As new strains of antibiotic resistant bacteria continue to emerge, infection prevention is more important than ever. These images dramatically demonstrate the effectiveness of these sutures. 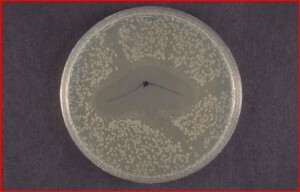 Suture fragments have been placed on growth media inoculated with various strains of pathogenic bacteria. It is easy to see how the bacteria fail to grow in the area around the sutures. Bayleaf Veterinary Hospital is one of very few hospitals in this area to incorporate this new technology. The use of this new technology is just one example of the many ways our doctors seek to provide your cherished pet with the best possible surgical care. ← Bayleaf is ready for Irene. Are you?